WAIT!!! HEY YOU, YES YOU!! Have you lost a bit of yourself? Holiday’s got you blue ?? Are you ready for a challenge?…. Best part is your don’t even have to leave your house!! True, How amazing is that right?? Let’s get real for a minute…. Let’s face it!! Today’s lifestyles are busy! We have more and more families with dual working parents! We have more and more families with caring for a loved one with a disability in one form or another! We are seeing parents and grandparents out there that are living unhealthy lifestyles because of it! Let’s face finding time for yourself is hard if not impossible! There are just not enough hours in a day!! I get it! I felt the same up until a year ago! What If I told you there is a way! A way for you to find yourself again, feel good about YOU again and at the same time get healthy and fit! CLEAN EATING!! NO Calorie Counting! NO counting Points! No starving yourself! NO Fads!! It’s a focus on balancing out nutrition with the right food FOR THOSE OF US THAT ARE CRAZY BUSY! NOW LET’S THINK ABOUT FITNESS – Who has time for that right? Give me 30 mins a day and I WILL get you on track to feeling like YOU again! All the workouts are in the comfort of your own home! So no need for a sitter to go to a gym! You will have me as your personal coach helping you… motivating you… and supporting you on a daily basis! You see I GET IT! I understand how hard it is to find time to focus on YOU! I do understand! You see, I am a special needs mom, and 16 months ago I felt lost then I took this challenge! 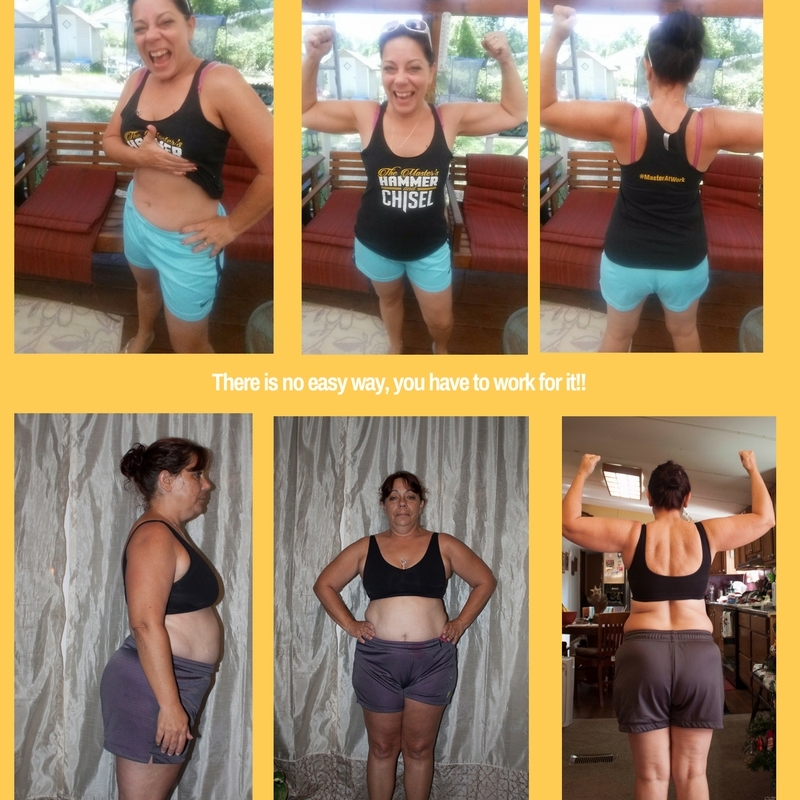 I have not only lost 39″ and 37lbs; but because I am healthier my family is healthier, and I am a better HAPPIER mom! If you can commit to changing the way you feel then I WANT TO HEAR FROM YOU! TOGETHER we are STRONGER! So TOGETHER let’s get healthier! This program is not free! BUT MY COACHING, SUPPORT, AND MOTIVATION AS PART OF THE CHALLENGE IS! 📌30 Day Supply of my Mama Go Juice w/shaker cup – SHAKEOLOGY! 📌 30 Days FREE to Access *BOD* – Digital stream of over $3000 worth of workout programs from your tablet, phone, computer, ect. I have already helped so many moms and dads take back their life and rediscover themselves and I would love to help you!!! MY DECEMBER JINGLE OFF THE POUNDS GROUP IS STARTING 1 DECEMBER SO DON’T HESITATE! ONLY A FEW MORE SPOTS LEFT! Keeping it real again- *These statements have not been evaluated by the Food and Drug Administration. This product is not intended to diagnose, treat, cure, or prevent any disease. Hey Special Needs Parents Have you lost a bit of yourself? Ready to find it ?? Are you ready for a challenge?…. Best part is your don’t even have to leave your house!! True, How amazing is that right?? With more and more families having children with disabilities in one form or another the more we are seeing parents out there that are living unhealthy lifestyles! Let’s face it when you are taking care of a child with a disability finding time for yourself is hard if impossible! There are just not enough hours in a day!! I get it! I felt the same up until a year ago! CLEAN EATING!! NO Calorie Counting! NO counting Points! No starving yourself! NO Fads!! It’s a focus on balancing out nutrition with the right food FOR BUSY MOMS AND DADS! You see I GET IT! I understand how hard it is to find time to focus on YOU! I do understand though! You see, I am also a special needs mom, and 16 months ago I felt lost then I took this challenge! I have not only lost 39inches and 37lbs but because I am healthier I am a better, HAPPIER mom for my son! This program is not free! But my coaching, support, motivation as part of the challenge is!!!! What you get…. MY DECEMBER KICK START THE NEW YEAR GROUP IS STARTING SOON SO DON’T HESITATE! Then fill out this for and I will be in contact!! I hid behind every long sleeve shirt and baggy clothes! I had to stop wearing makeup because my skin was so bad! I could not stand looking in the mirror and avoided being in front of cameras as much as possible!! It was not just about the looks though! I was sick! I was fighting Autoimmune diseases and was taking more pills than I should have been! I share this not to boast, but to hopefully inspire you to make today the day you decide enough is enough and do what you need to do for YOU! It takes just one decision to change your life, to live healthier, to feel free about who you are inside and out! Join me along with 1000’s of others who are taking a stand on ending the trend to obesity and obesity related illnesses! !